Ulrike Anderson, née Schwarz, is a sound engineer and producer of acoustic music in the radio, television and recording industries. The setup is sure to render remarkable fidelity. Bass-heavy instruments in particular sound markedly better when you bring them into 3D, so I expect both the performances and recording clarity to be spectacular. Jim and I both have extensive experience working in 5.1 surround, and I have even trained on 22.2 systems in Japan as far back as 2006. We feel that AMBEO represents an exciting leap forward for three-dimensional audio. It’s great to take things into the next dimension with Sennheiser, and we are eager to dig into these mixes and bring out the magic of the Chelsea Music Festival. In October 2015 she received the Fellowship Award of the Audio Engineering Society at the 139th AES Convention in New York. Ulrike Schwarz was AES Governor from 2004-2006. 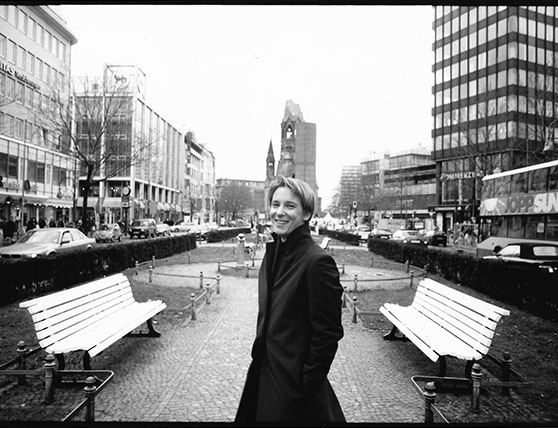 Ulrike Anderson received her Tonmeister degree from the Hochschule der Künste Berlin (University of The Arts Berlin), Germany. She also holds an Executive Master of Business Administration in “Innovation and Business Creation” from Technische Universität München (Technical University Munich), Germany. From 2001 to 2015 she was employed by Bayerischer Rundfunk in Munich, Germany, as a senior sound engineer for large orchestral and jazz productions. She currently is in the process of building up the production house Anderson Audio New York, Inc.
Ulrike received intensive training in 5.1 surround sound from Akira Fukada at NHK (Nihon Hoso Kyokai) Tokyo, Japan, and participated in experiments for 22.2 with Kimio Hamasaki at the Research and Development Laboratory at NHK, Tokyo, Japan, in 2006. Her first 9.0 recording was Robert Schumann’s Oratory “Das Paradies und die Peri” with the Bavarian Radio Symphony Orchestra and Choir under Sir Simon Rattle at Herkulessaal, Munich, Germany, in 2010. This recording was presented at the 40th International AES Conference “Spatial Audio – Sense the Sound of Space” in Tokyo, Japan, in 2010. She has recorded and live broadcast over 50 orchestral projects with the Bavarian Radio Symphony Orchestra and Choir in 5.0 surround sound and has been producing symphonic projects with the Stavanger Symphony Orchestra, Norway, in 5.1 Surround sound and in 9.1 Immersive 3D Audio.